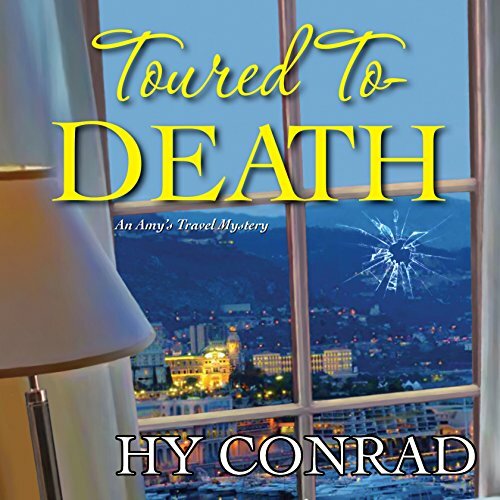 While Fanny takes care of the business end of Amy's Travel in New York City, Amy is traipsing around Monte Carlo, managing their first mystery-themed excursion, a road rally in which guests compete to solve a fictional murder along the way. Amy still has reservations about partnering up with her mother. But both women, having lost the men in their lives, need a fresh beginning. The trip starts off without a hitch. Clues quickly mount, the competition is lively, and just when the suspense is peaking, the writer they hired to script their made-up mystery is found murdered in his New York apartment. Suddenly, on top of running a new venture together, mother and daughter must solve a real-life case of foul play while trying not to drive each other bonkers. But Amy and Fanny are ready, willing, and Abel to track down a clever killer with some serious emotional baggage, one who will go to any lengths to keep dark secrets from seeing the light of day. ©2014 Hy Conrad (P)2015 Audible Inc.